The 100th anniversary of Fortis Swiss Watches in 2012 will soon be upon us. Fortis is bringing us a marvelous new watch collection to celebrate its centennial and to remind us of the brand’s longstanding association with astronautics and space exploration. The Fortis B-47 Mysterious Planets Collection, with it truly unique design, is inspired by the mystery of our planetary system. Since Fortis partners with the Russian Space Program, it is understandable that they would create such a timepiece. The stunning dial layout of the Fortis B-47 Mysterious Planets timepiece is like nothing you’ve seen before. The “jumping” hours of the B-47 Mysterious Planets has been achieved through the cooperation of its genius architect and the skilled Fortis technicians. 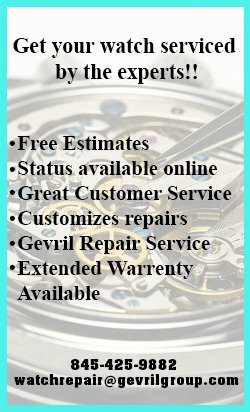 The watch’s automatic movement and rotating dial generate an ever-changing look as the day progresses, and the hour numerals appear unexpectedly and coincidentally every hour in one of the five dial windows which represent the planets Mercury, Venus, Earth, Mars and Jupiter in their orbits around the sun. This amazing feature distinguishes the B-47 Mysterious Planets from all astronomical timepieces produced by other watchmakers. 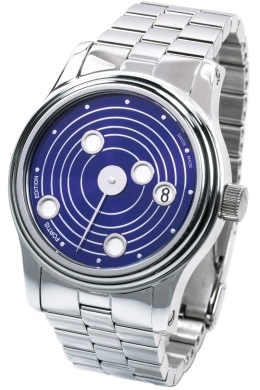 The Fortis B-47 Mysterious Planets is available with a blue dial (677.20.35) or black dial (677.20.35). Personally, I prefer the blue dial, because in my mind the sky is blue, and that’s my mental reference point in connecting to the universe, knowing all too well however that a true look into space would be as black as it can get. The black dial timepiece may fit better to a suit. while the blue dial watch will most likely catch more attention. 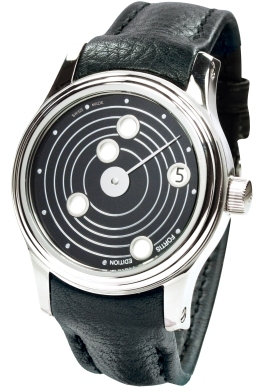 The B-47 Mysterious Planets, limited to 500 pieces, can be obtained with either a steel bracelet, leather strap, black rubber strap or blue silicone strap. I’m confident that this timepiece will be a great conversation starter, since it reflects a very avant-garde design and only its minute hand brings to mind the classic watch face. How exciting it must be to look at a watch changing its face throughout the day, which in my mind is a reflection of our times, when change has become a constant force. 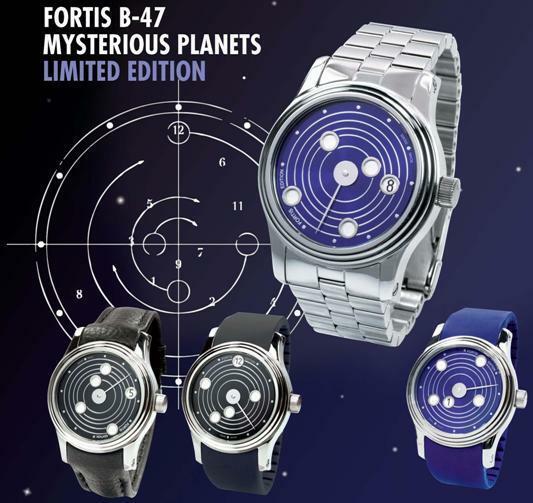 Kudos to Fortis and the B-47 Mysterious Planets Collection for expanding our imagination.